What do Cub Scouts Do?? Sparks Greenbrae Lions Club Representative Larry Grube, larry@summitnv.com, cell phone 775 224-4369. Please browse our public website to learn more about us. 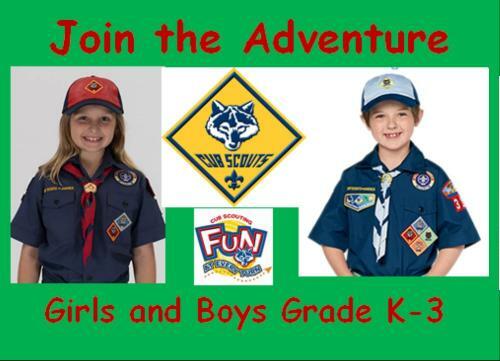 Girls...Pack 46 has a great incentive for you to join!!! 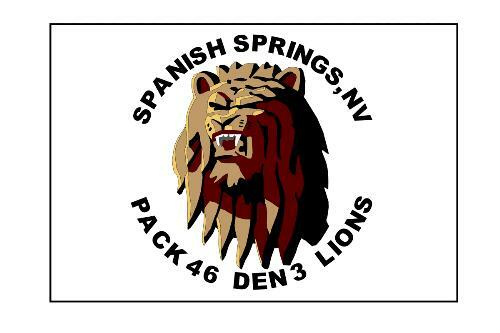 In January of this year, Pack 46 was one of four Packs in Northern Nevada selected by the Nevada Area Council to accept girls earlier than the original September kickoff date. This is an opportunity to have the bragging rights for a lifetime of having been one of the first girl Cub Scouts and further on, one of the first girl Eagle Scouts. This introduction now makes Pack 46 a Family Scouting Adventure and we are Proud to be one of the first Packs to include Youth of all cultures, ethnic backgrounds, religious creeds and gender. We are waiving the National annual registration fee of $33.00 for any girl that joins prior to March 15, 2018. Contact one of our Leaders above and we will arrange to get you signed up. What does a Family Scouting Pack/Troop look like? Check out the Facebook page of Troop 1,3,5 in Sparks' Sister City, Longford Ireland doing what Scouts do all over the world, HAVE FUN! Contact us as soon as possible to start your Adventure! The Den 3 Lions are now members of the Troop 46 Lions Patrol. Below are the announcements for some of the great outings they had in 2013. Bring your bikes and we will meet at the above location to earn our second individual sport belt loop (bicycling) and do some geocaching along the Truckee River. Make sure you have your helmets and safety essentials. If you have a handheld GPS I will have an uploadable file on this page in the near future. Class B Uniforms. Join in for three days of camping activities with other Cub Scouts from all over the Nevada Area Council. There will be more BB shooting, archery and wrist rockets PLUS swimming and climbing! We will be at Bartley Ranch to see Shakespeare's Midsummer's Night Dream for FREE! Please give me an RSVP on this no later than May 13, 2013. This is a Showman's Activity Badge requirement. Afraid of Shakespeare? Don't be. Another requirement is to learn about Shakespeare and I will hopefully give you a better perspective of who the Bard was and why the English language is such a rich part of our Anglo-American culture. Class B uniforms. Saturday, August 31, 2013 to Monday, September 2, 2013 - Hike and Campout at Emerald Bay. We will sail aboard a Catalina 250 to the Emerald Bay Boat camp for three days of fun at beautiful Lake Tahoe. Activities will include hiking to Vikingsholm, swimming and sailing. We will conclude the weekend by watching the Labor Day fireworks from the Rubicon Trail on Sunday night. Friday, October 11 to Sunday, October 13, 2013 - Berlin-Ichtyosaur State Park Campout. We will visit the fossil shed and learn about Nevada's state fossil and then on to the Berlin Stamp mill to see how gold was produced in the 1800's. We will complete most of our requirements for the Geology Activity badge.